Windows Server 2012 hits General Availability! Today, Windows Server 2012 hits the General Availability (GA) milestone! This means the product is now officially available to partners and customers to purchase and install in production. Windows Server 2012 expands the definition of a server operating system from the single server up to the datacenter and out to the cloud, while also incorporating breakthroughs across advanced storage, software-defined networking, virtualization and automation. Windows Server 2012 delivers hundreds of new features that will help customers achieve a transformational leap in the speed, scale and power of their datacenters and applications. In combination with Windows Azure and System Center 2012, Windows Server 2012 empowers customers to manage and deliver applications and services across private, hosted and public clouds. 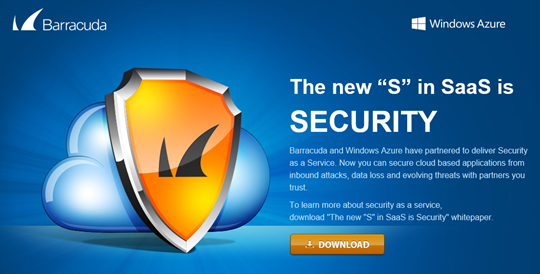 What’s New in Windows Server 2012? A LOT! Click here to read more. On the virtualization front, there is no reason why customers should be looking at VMware anymore for virtualization! Windows Server 2012 is the ultimate, no compromise hypervisor release that encompasses all that you need for virtualization to build a private or hybrid cloud! Microsoft Premier Support Services will begin support for Windows Server 2012 starting October 30, 2012. Some of our top partners in Qatar are already trained on Windows Server 2012 and have done early deployments for select customers. Watch out for some exciting news. Our partners in Qatar are being trained on the Windows Server 2012 licensing in the coming days and will be able to help you with licensing. Qatar customers can also reach out to me directly by email or phone 33549982 for any questions/clarifications. Join me and other datacenter experts from Microsoft at the Hilton Hotel Doha on September 18 for the Private Cloud Roadmap event to have a 1:1 discussion over coffee! 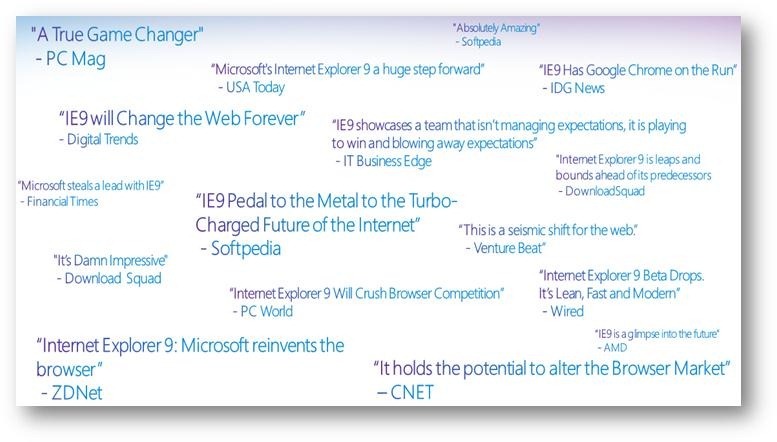 Internet Explorer 9 has been released today! Click here to download Internet Explorer 9. IE 9 has been discussed enough times on this blog and needs no further introduction! Here are some reasons why you should install IE9. 2. IE9 is enterprise ready. IE9 has the highest LOB compatibility pass rate of any product in Microsoft’s internal IT “dogfood” history – 99% – coupled with one of the lowest IE helpdesk contact rates (number of helpdesk calls/number of installs) to date. And for our customers, IE9 is ready to go with their Windows 7 deployments. 4. IE9 is the only fully hardware-accelerated browser. All graphics, video and text in IE9 are hardware-accelerated. We re-architected IE9 to take full advantage of the Windows PC. IE9 was the first to introduce this concept and other browsers have been scrambling to catch-up. See the difference for yourself. Office 2010, SharePoint 2010, Visio 2010, Project 2010 – Released! Microsoft has announced that Office 2010, SharePoint 2010, Visio 2010 and Project 2010 have been released to manufacturing. Visit this page for an overview of the new wave of products. Customers with Software Assurance can download Office 2010 starting April 27, 2010. Microsoft released to manufacturing (RTM) Exchange Server 2010 last Thursday. The full release/public availability is scheduled for next month during TechEd. ADMINISTRATORS can define extremely broad or extremely granular permissions, and can manage permissions by adding or removing users to role groups. USERS can change their own personal information, contact information, join or leave a distribution group/mailing lists, etc on their own, if the administrator has allowed it. You can now remotely manage Exchange 2010 servers over the network using Windows PowerShell thanks to the Windows Management Framework. Administrator audit logging allows logging of all administrator actions for later review. – Ability to co-exist other roles on mailbox clusters to ensure overall availability of transport and client access roles. – Shadow Redundancy feature provides redundancy for messages while in transit. Grouping message threads (Conversation view): This saves time, and helps you delete or move a whole thread in just one quick step. I will cover these in another post. Ensures that users don’t choke the system intentionally/unintentionally by enforcing client connection bandwidth limits. Exchange Server 2010 also gives organizations the flexibility to host their email servers on-premises, or through a hosted services provider or have a mix of both.